Thanksgiving for us is a very special holiday. 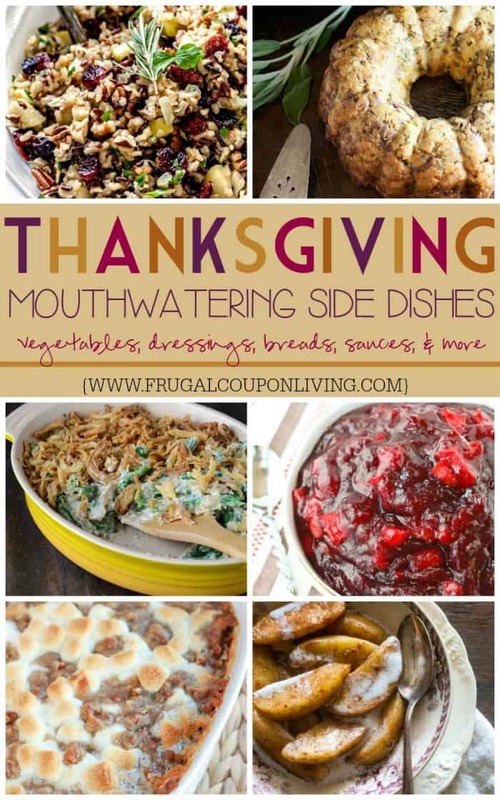 It’s a day of relaxation, some football and some mouthwatering good Thanksgiving dishes. 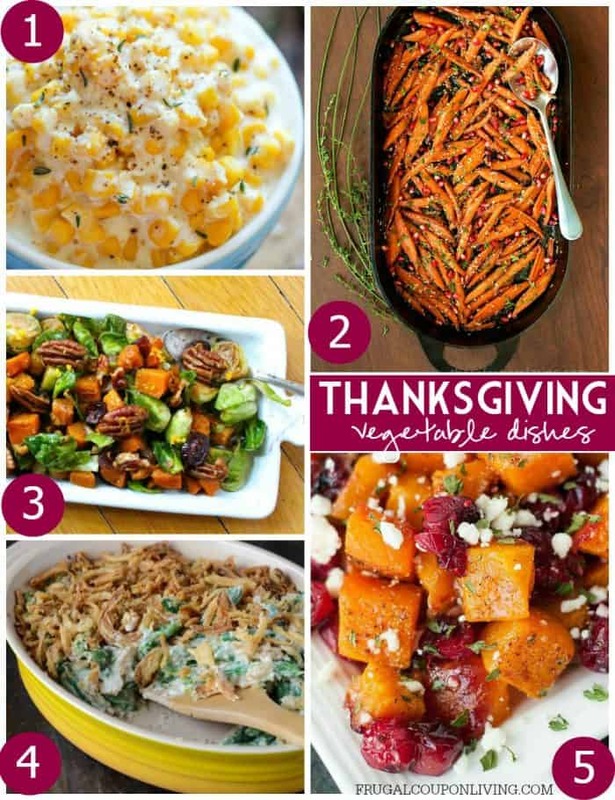 We brought together a list of side dishes to make your feast spectacular! 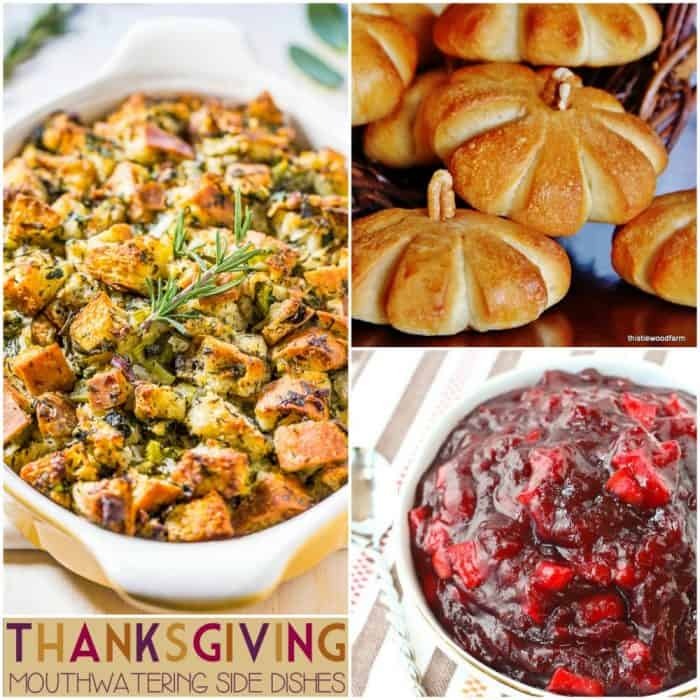 Take a look at some of our favorite Thanksgiving casseroles, dressings, sauces, vegetables, breads and more. 1.) Slow Cooker Creamed Corn from Damn Delicious. 2.) Honey Maple Roasted Carrots from The Cafe Sucre Farine. 3.) Orange Glazed Brussels Sprouts & Butternut Squash from Heartbeet Kitchen. 4.) The Best Green Bean Casserole from The Novice Chef. 5.) Honey Roasted Butternut Squash with Cranberries and Feta from Peas and Crayons. 6.) Classic Traditional Thanksgiving Stuffing from Averie Cooks. 7.) Stuffing In A Bundt Pan from Kim’s Healthy Eats. 8.) Southern Cornbread Dressing from Spicy Southern Kitchen. 9.) Thanksgiving Pizza from The Gunny Sack. 10.) 5 Minute Maple Bourbon Gravy from The Suburban Soapbox. 11.) Cranberry Apple Pecan Wild Rice Pilaf from Carl’s Bad Cravings. 12.) Sweet Potato Casserole with Marshmallow Pecan Streusel from Celebrating Sweets. 13.) Bourbon & Bacon White Cheddar Mac and Cheese from Wry Toast. 14.) Herb Scalloped Sweet Potatoes with Bacon and Gruyere from Carl’s Bad Cravings. 15.) Sour Cream And Onion Smashed Potato Casserole from Melissa’s Southern Style Kitchen. 16.) Caramel Pecan Sticky Buns from Chocolate with Grace. 17.) Authentic Brazilian Cheese Bread from Olivia’s Cuisine. 18.) Cornbread Casserole from Stuck on Sweet. 19.) Simple Pumpkin Rolls from Thistlewood Farms. 20.) 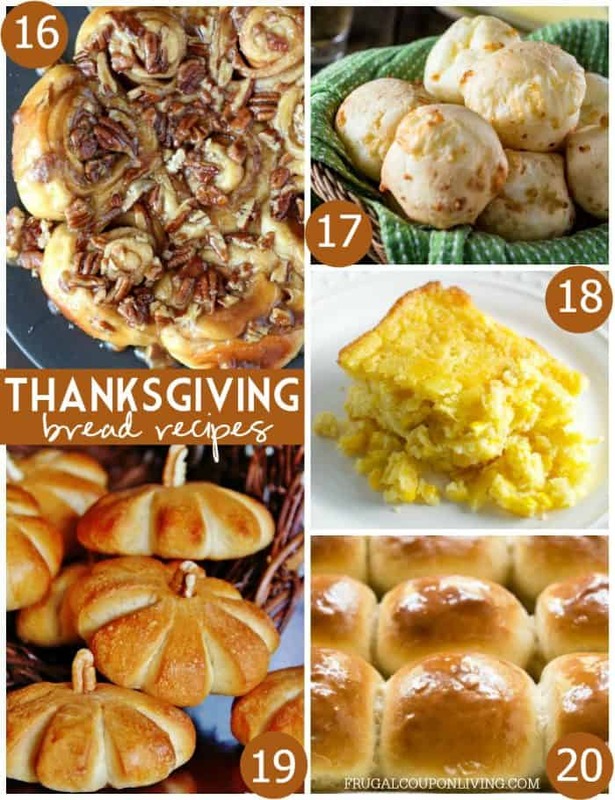 30 Minute Honey Butter Rolls from Kate at I Heart Eating. 21.) Sautéed Apples from Sweet Treats. 22.) 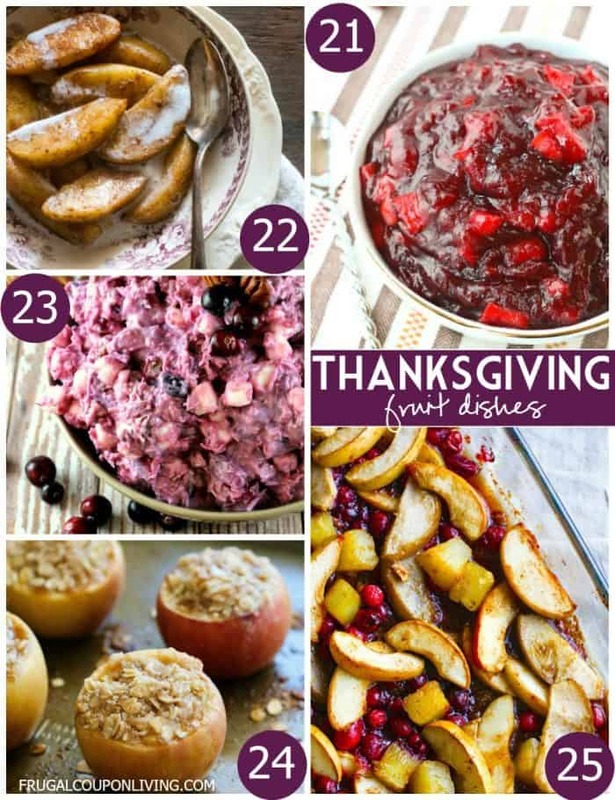 Easy Cinnamon Apple Cranberry Sauce from Rachel Cooks. 23.) Cranberry Millionaire Salad from Spend With Pennies. 24.) Apple Crisps Stuffed Baked Apples from Life in the Lofthouse. 25.) Spiced Hot Fruit Bake from Cotter Crunch. 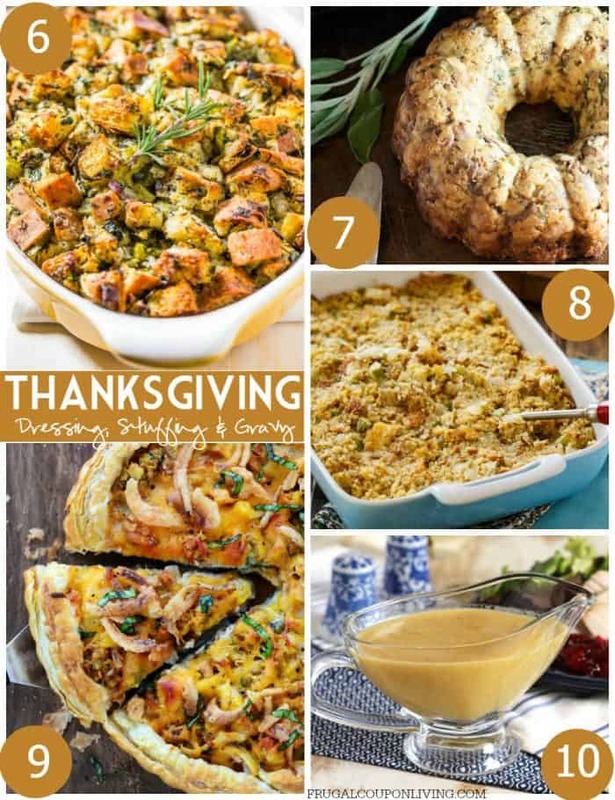 With a perfect thanksgiving meal, comes 25 Inspirational Thanksgiving Tablescapes. Pin to Pinterest. 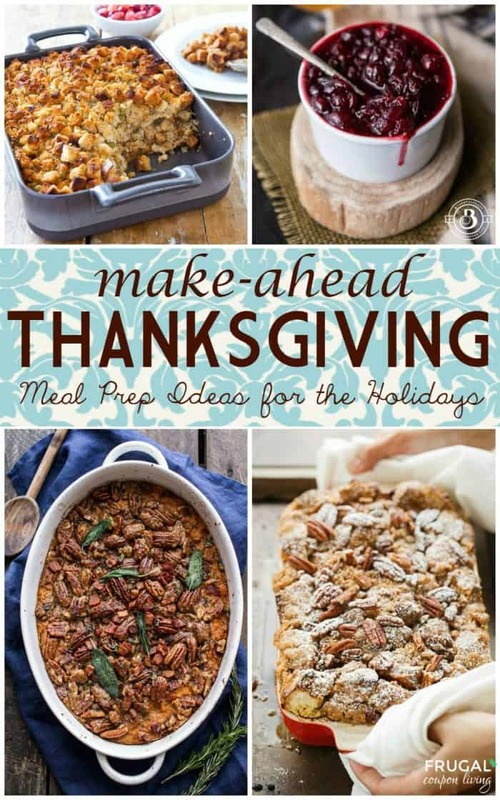 Take a look at our Make Ahead Thanksgiving. Pin to Pinterest. Pair with an amazing Holiday Cocktail Recipe. Pin to Pinterest. 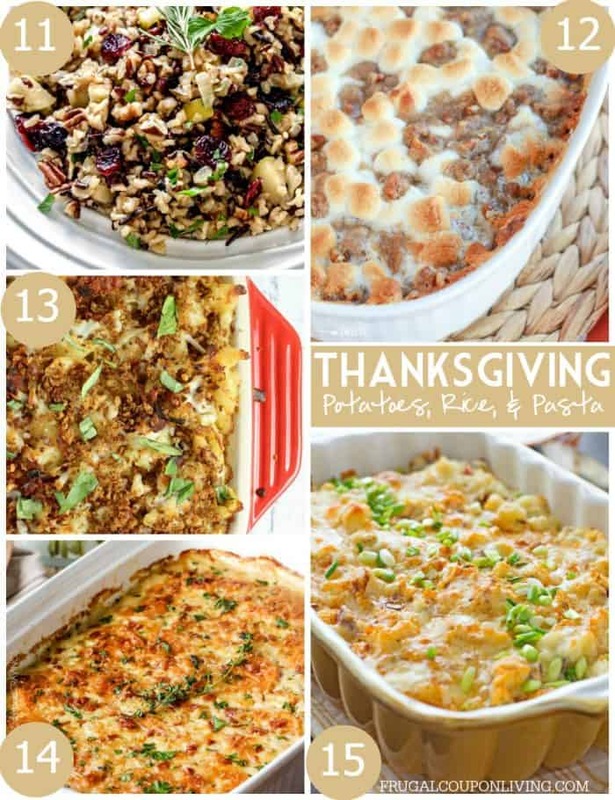 Don’t forget these 31 Thanksgiving Kids Food Craft Ideas. Pin to Pinterest. 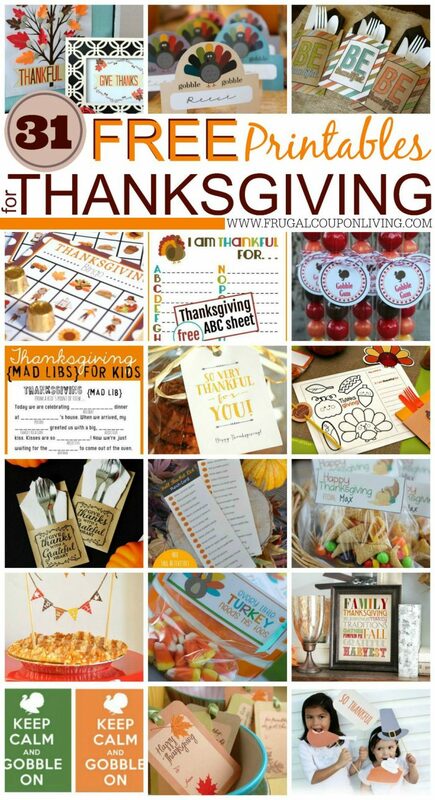 Also check out our 31 Free Thanksgiving Printables. Pin to Pinterest.